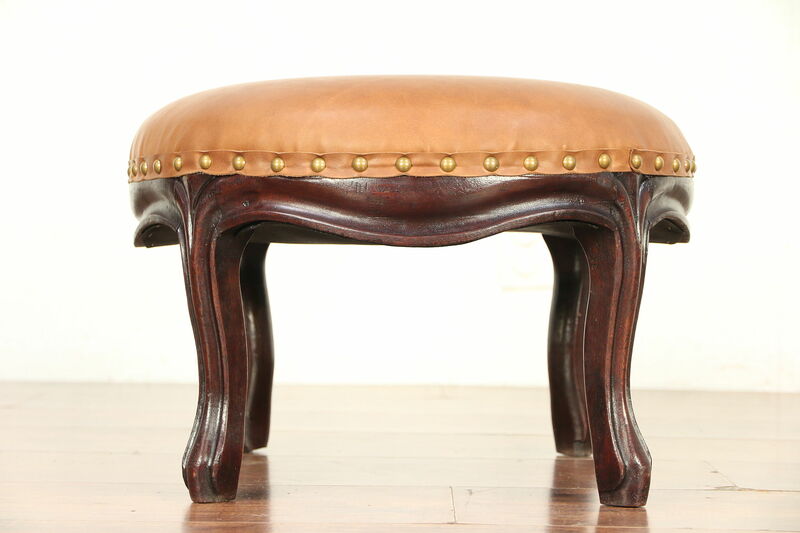 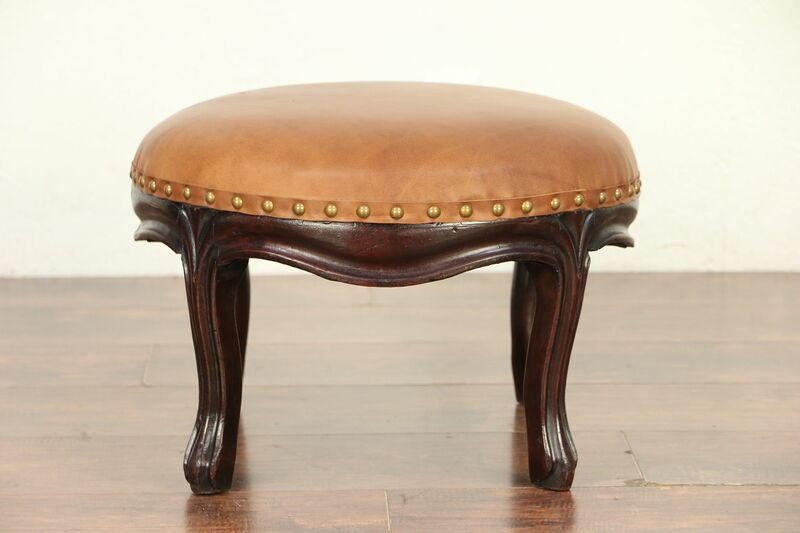 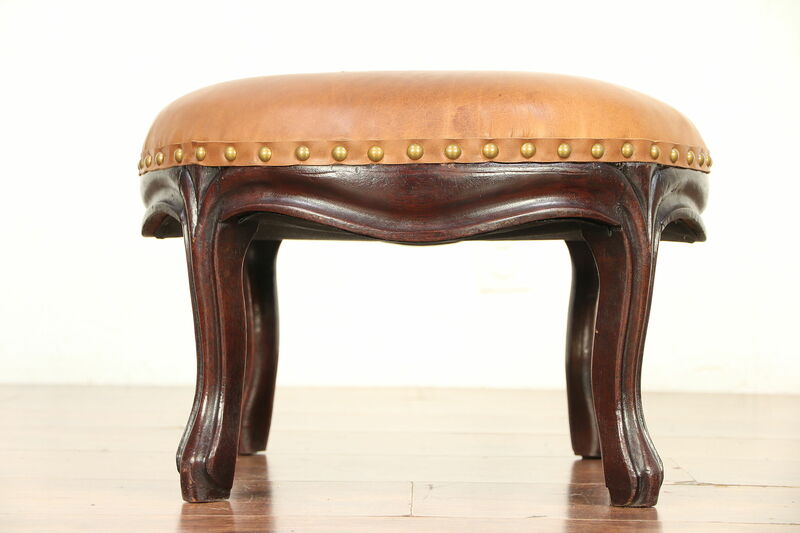 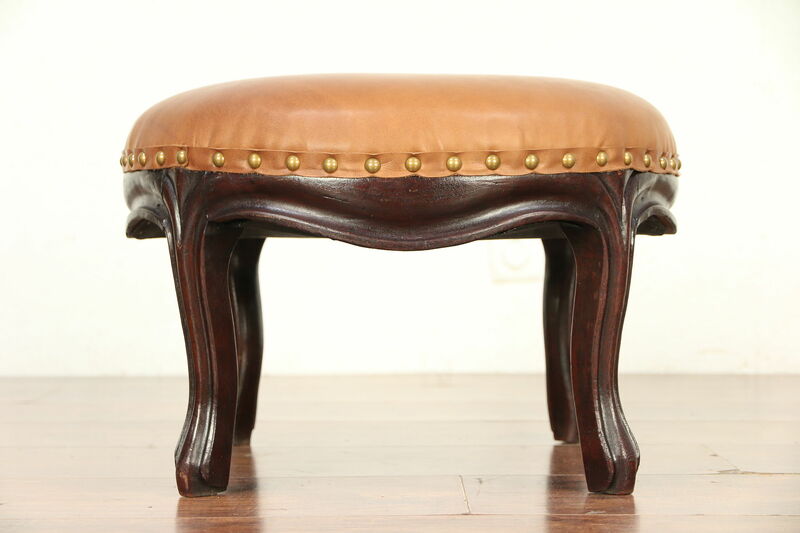 A Victorian period footstool from about 1860 was hand carved of solid walnut. 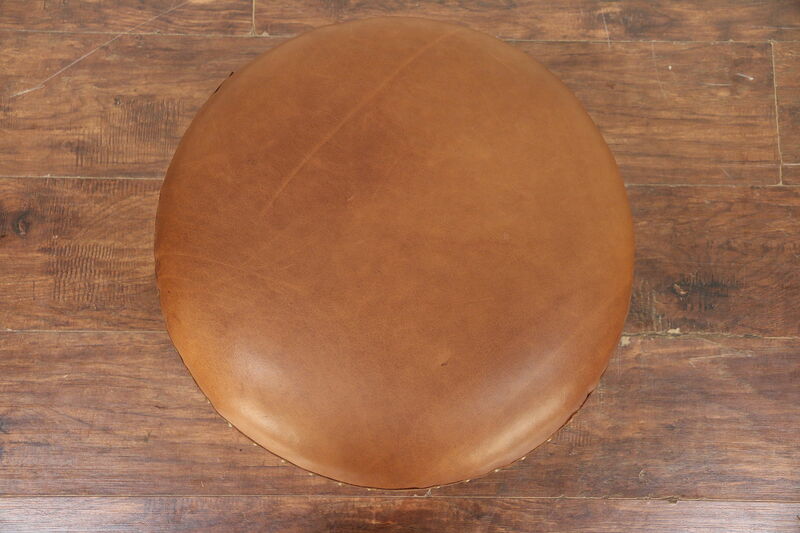 New natural saddle leather upholstery has brass nailhead trim. 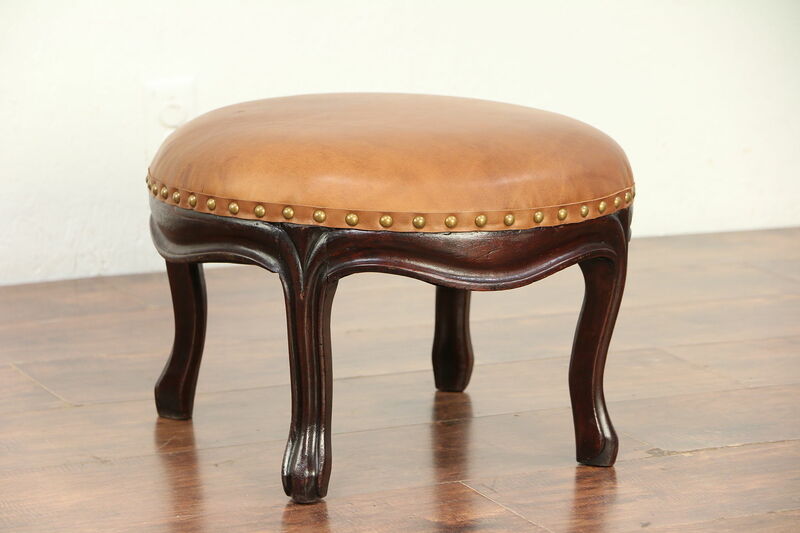 The sturdy frame has a fine old finish, waxed and buffed on this American made antique furniture. 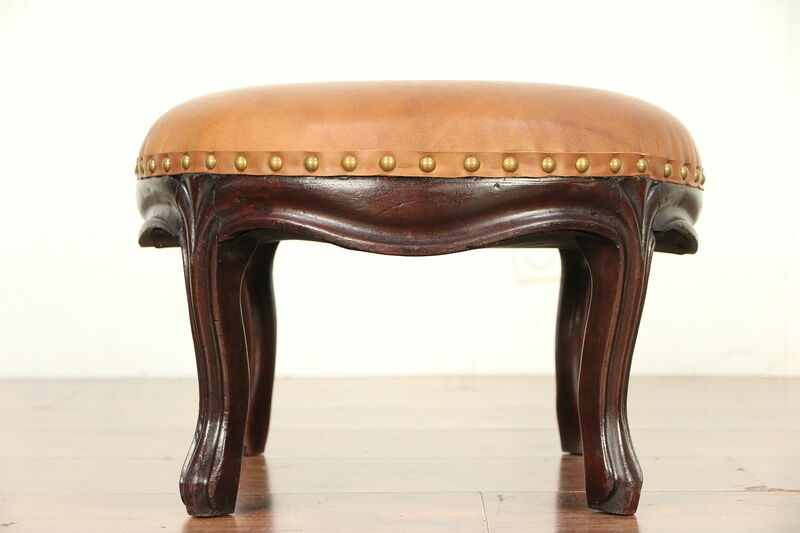 Size is 18" across and 12" tall.